A school is a group of people who come together with a common purpose; education is the experience that your child has with these people. 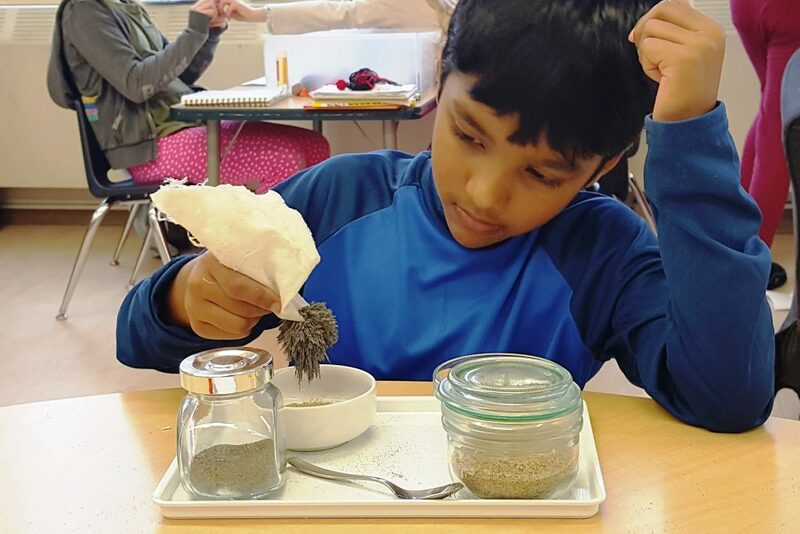 At Sunstone, we work diligently to provide a positive and formative experience that will serve your child now and for the rest of his or her life. At its core, it simply is a way of being with children that allows each child to develop fully into the person he was destined to be. 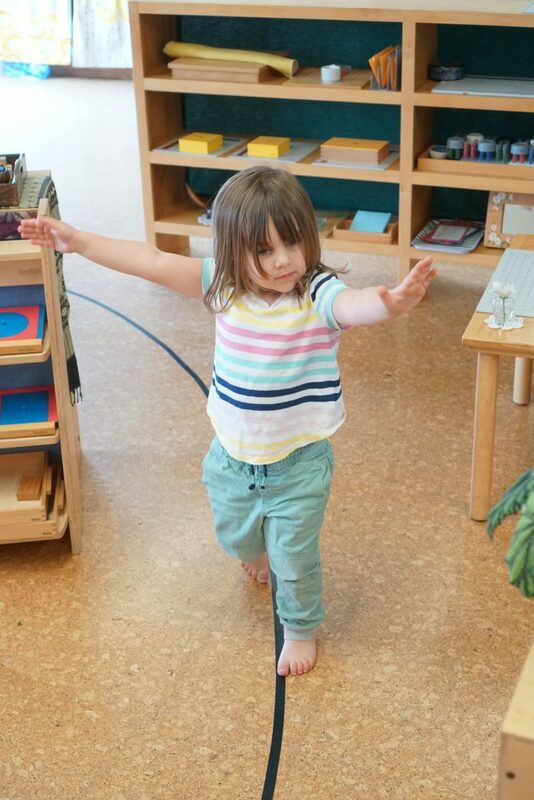 Just as you make every effort to ensure that your home is loving and safe – so that your child feels secure and well adjusted – we work diligently to ensure that the physical environment, the teachers and the student community will meet your child’s needs with respect and support at each step in his educational journey. Instead of expecting that your child pay attention to the teacher in front of a class of 30 children, it is the Montessori teacher who is trained to observe the natural development of each individual child and pays close attention to your child every day which fosters a trusting relationship – an education partnership of sorts – in which the child will have faith that his teacher truly understands and respects him for the human being into which he is transforming. 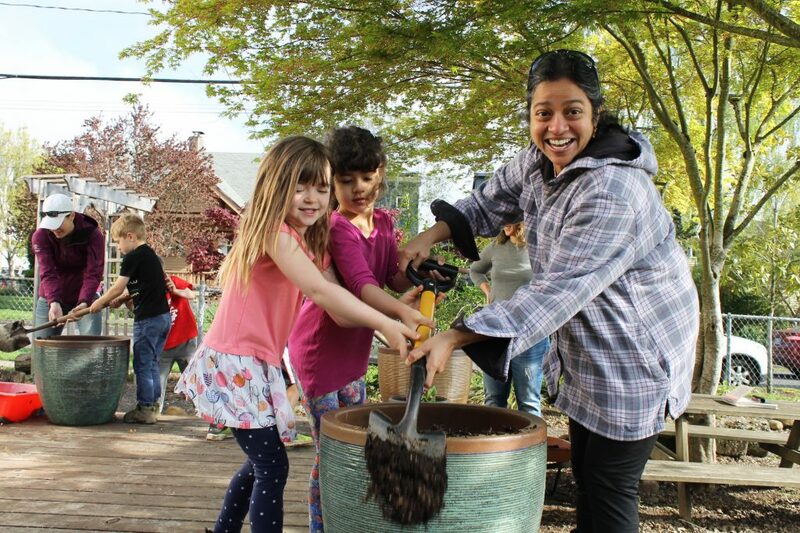 Children’s natural development is different at different ages, so the curriculum and educational materials are different at each program level, but there are common characteristics across the ages: student choice, hands-on materials, mixed-age classrooms, and the comprehensive Montessori curriculum. 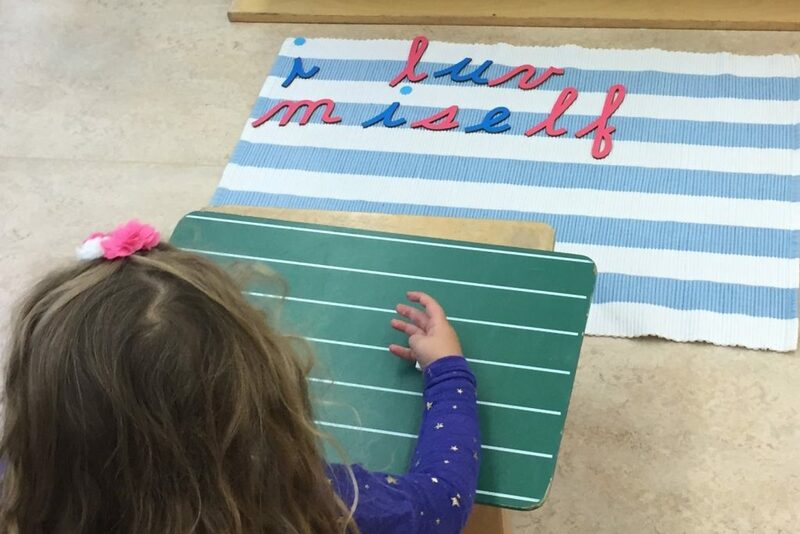 In Montessori, the children choose their own work. 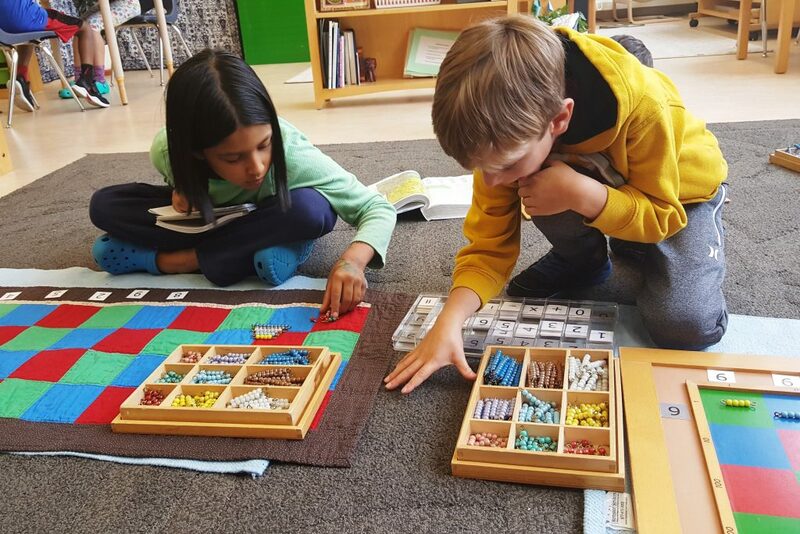 Montessori trained teachers prepare the classroom environment and present new lessons and materials, and children are free to choose the activities that engage them deeply and work with them for extended periods. 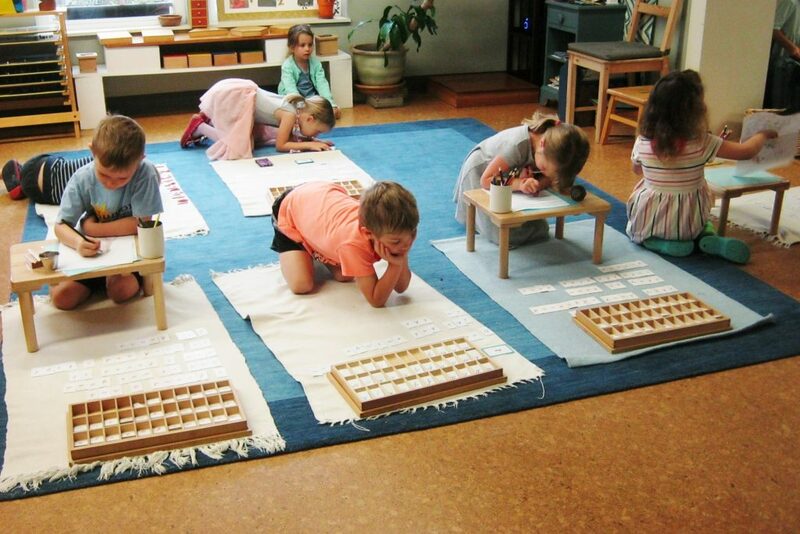 Montessori education may be best known for the carefully designed materials that engage children’s hands and imaginations, encouraging them to explore and discover ideas from algebra to zoology and all points in between. 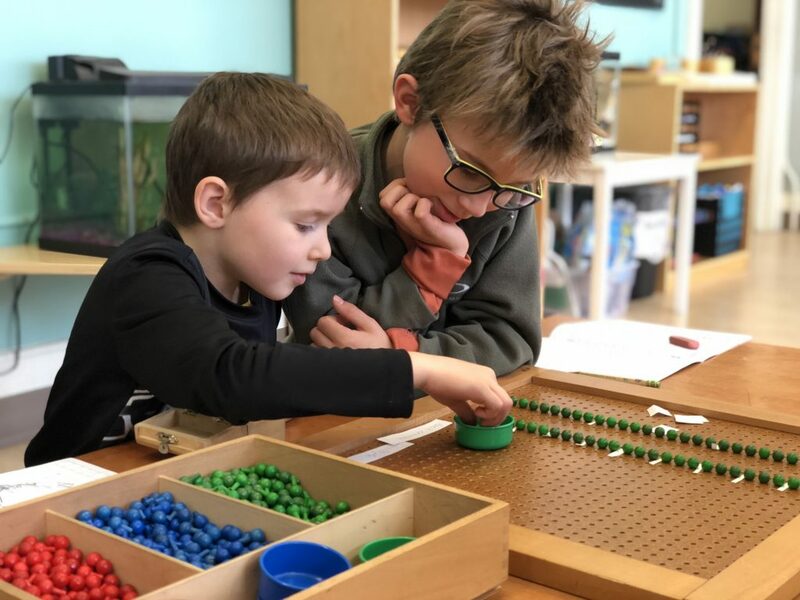 Montessori classrooms use three-year groupings based on children’s development, allowing for mentoring, modeling, peer learning, and a strong, vibrant classroom community. Children typically stay with the same teacher for three years at a time. 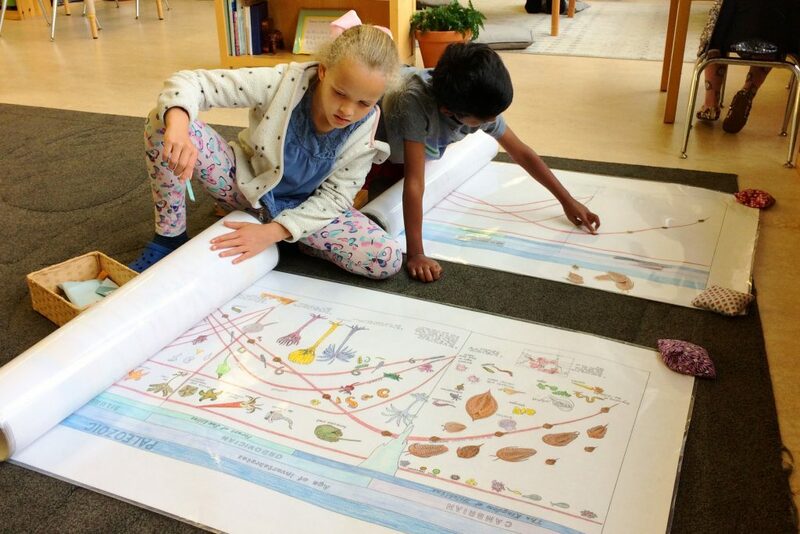 Children choose their work from an enormous range of ideas, concepts, skills, and content areas, following their curiosity and developing their passions. 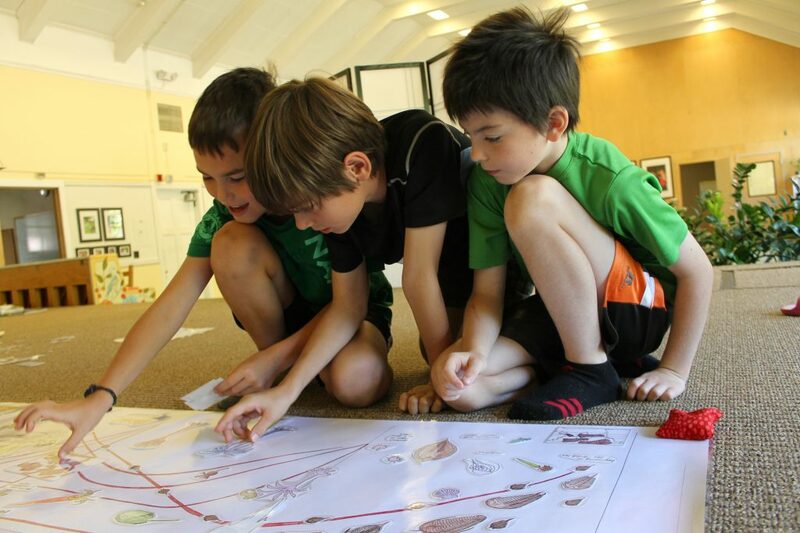 Trained teachers support children’s engagement in all areas of the curriculum.